Xena and Xander Holmes are back . . . and so is a mysterious beast from Sherlock’s casebook! Xena and Xander have been looking forward to their vacation in the peaceful country village of Blackslope. But when a huge monster begins to terrorize the town, the young detectives are faced with a mystery that seems impossible to solve. 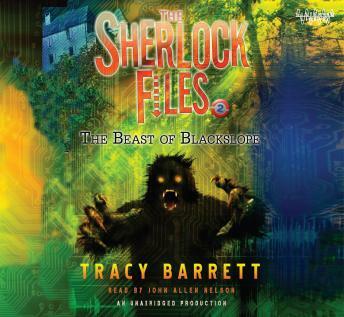 Sherlock Holmes, Xena and Xander’s famous ancestor, investigated the case of a horrible beast in Blackslope, but that was nearly a hundred years ago. It couldn’t be the same creature after all this time—or could it?